Introduced in 2010 by Xenex Disinfection Services, Pulsed Xenon light room disinfection answered the growing need for action against Healthcare Associated Infections. Produced in San Antonio, Texas, this easy-to-use device has demonstrated infection rate reductions in Multiple Peer Reviewed Published Outcome Studies. The Xenex Robot does not use chemicals during the disinfection process. The intense, Pulsed Xenon light kills pathogens across the entire disinfecting spectrum, known as UV-C. This UV-C energy passes through the cell walls of bacteria, viruses and bacterial spores. 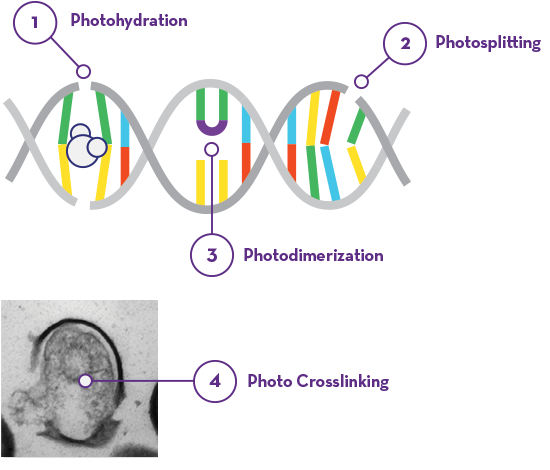 The DNA, RNA and proteins inside the microorganism absorb the energy, and can’t reproduce. When this occurs they can no longer infect people. The powerful Xenon light damages pathogens at different wavelengths, depending on the organism. 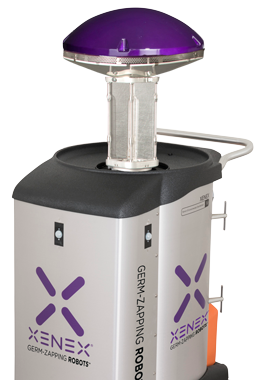 Xenex’s Pulsed Xenon Robots produce a flash of germicidal light across the entire disinfecting spectrum (from 200 nm to 300 nm), delivered in millisecond pulses. This Full Spectrum™ light can cause four types of cellular damage, all of which prevent cell replication.